6. Anatomy for Fantasy Artists (Fabry, G). Plus, three graphic novels: one picked because it cost $1, one because I liked the artwork, and one for no particular reason). Of all these books, only #3 was purchased specifically for my work that brings me income these days. 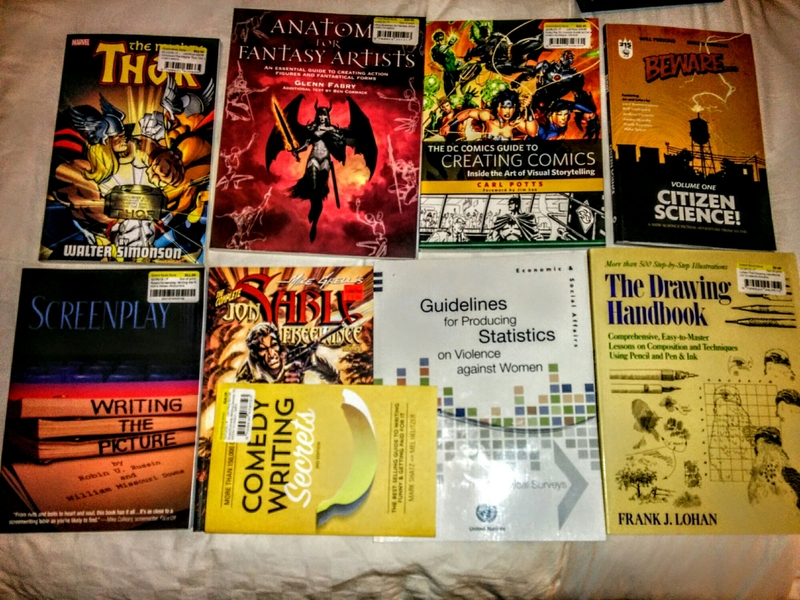 The rest of it is for my future development as a writer and, potentially, as a graphic novelist. Which of these books you would purchase as well? Next Post: Phantom of the Opera in New York! Probably #2. I also would like to be a writer myself!But im also a comic fan! Id also buy some manga.